Two-thirds of non-party campaigning organisations are not confident they understand new rules set out in the lobbying act, and the vast majority want further information, a survey carried out by the Electoral Commission has found. The Transparency of Lobbying, Non Party Campaigning and Trade Union Administration Act 2014, which became law in January, tightens the regulation of political campaigning activities that charities and other bodies can carry out before UK elections. More than 120 non-party campaigners, of which 64 per cent were charities, responded to an Electoral Commission survey, which closed on 14 March. Respondents were asked how they thought the new laws would affect their campaigning. A quarter said they had not previously had contact with the Electoral Commission, and 40 per cent said they were not sure if they had. A total of 88 per cent of respondents said they were planning some campaigning activities before the 2015 general election. Email and website were the most popular channels – 71 per cent and 72 per cent respectively said they would use these channels for their activities. The survey found that 32 per cent of respondents felt "quite confident" they understood the new rules, but 55 per cent said they were "not very confident" and 12 per cent were "not confident at all". Almost all (92 per cent) of respondents said they wanted information on what type of campaigning fell under the new rules. Eighty-eight per cent said they wanted information to help them decide if they needed to register with the commission as non-party campaigners, and the same percentage wanted information about what they would need to report if they did so. At the last general election, 33 organisations registered with the commission. Four out of five respondents wanted information on working as part of a campaigning coalition under the new laws. Peter Horne, director of party and election finance at the Electoral Commission, said: "Respondents told us that they particularly wanted to see how the rules could affect organisations working together to campaign, and also whether social media activity could come under the new rules. We will make sure our guidance, which will be published in early July, explains how the law applies in these areas." In addition to the survey, the commission held round-table events across the UK with campaigners, and is in the process of producing full guidance on the new act, to be published in early July. It is also issuing a series of online updates in the run-up to July. 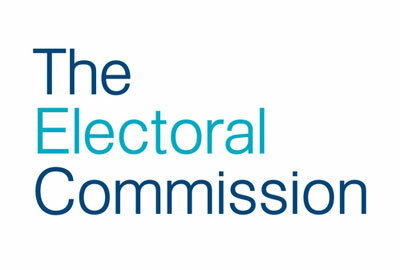 The new law requires organisations to register with the Electoral Commission if more than a set amount of money is spent on a range of activities including public rallies, media events and canvassing that could "reasonably be regarded as intended to promote or reduce the electoral prospects" of parties or candidates. There is also a cap on total spending on such activities. This has been lowered from the previous maximum spend, which had covered a much narrower range of activities. The first restricted period under the new rules runs from 19 September 2014 until the UK general election on 7 May 2015.